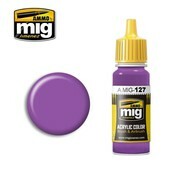 This is AMM0127 AMMO by Mig Acrylic Color - Purple (17ml bottle) by Ammo by Mig. This is AMM0046 AMMO by Mig Acrylic Color - Matt Black (17ml bottle) by Ammo by Mig. 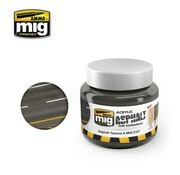 This is AMM0036 AMMO by Mig Acrylic Color - Old Wood (17ml bottle) by Ammo by Mig. 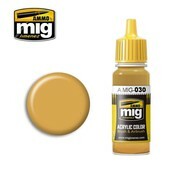 This is AMM0030 AMMO by Mig Acrylic Color - Sand Yellow (17ml bottle) by Ammo by Mig. This is AMM0027 AMMO by Mig Acrylic Color - RAL8031 F9 German Sand Beige (17ml bottle) by Ammo by Mig. This is AMM0021 AMMO by Mig Acrylic Color - 7K Russian Tan (17ml bottle) by Ammo by Mig. This is AMM0014 AMMO by Mig Acrylic Color - RAL8012 Rotbraun (17ml bottle) by Ammo by Mig. This is AMM0012 AMMO by Mig Acrylic Color - RAL7028 Dunkelgelb AUS'44DGIII (17ml bottle) by Ammo by Mig. This is a AMM0008 AMMO by Mig Acrylic Color - RAL7021 Dunkelgrau (17ml bottle) by Ammo by Mig. This is AMM2107 AMMO by Mig Acrylic Mud for Dioramas - Asphalt Texture by Ammo by Mig. 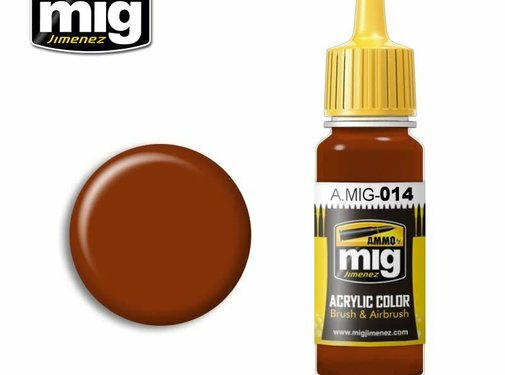 This is AMM0134 AMMO by Mig Acrylic Color - Burnt Brown Red (17ml bottle) by Ammo by Mig. This is AMM0133 AMMO by Mig Acrylic Color - Red Leather (17ml bottle) by Ammo by Mig.